Ott DeFoe caught the bulk of his weight on the final day out of a marina near the Fort Loudoun Dam. As easy as it would’ve been to spend the last year fantasizing about winning the Bassmaster Classic in his hometown, Ott DeFoe refused to give in to the temptation. Rather than tie himself up in knots about it, he focused first on qualifying for the event and once that hurdle was cleared, the thoughts shifted to how to be productive and effective during the tournament. Winning was never an expectation, only a product of well-executed strategy combined with some good fortune. When the time came, he committed to a shallow-water game plan focusing exclusively on hard-bottom stretches or submerged hard targets (wood, stumps) in water no deeper than 7 feet. Reaction baits dominated the event and DeFoe’s stringers were made up largely of bass caught on a lipless crankbait and a vibrating jig. 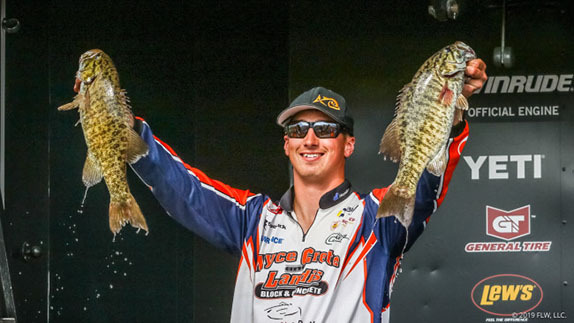 The plan went swimmingly on day 1 as he registered the lone 20-pound bag (20-00) among the 52 competitors to take the early lead. He stumbled a bit on day 2 with a little more than 10 pounds before storming back on Sunday with 18-14 to capture the win, earning a victory lap around the inside of a packed Thompson-Boling Arena on the University of Tennessee campus. Here are a few more details about how DeFoe navigated the Classic experience at Fort Loudoun and Tellico lakes. DeFoe typically bypasses visiting the Classic venue before it goes off limits after Dec. 31, but having not spent any significant time on Lou-Tel in many years, he spent a couple days there in December and idled while studying what he was seeing on his Humminbird Side Imaging. When the three-day practice session arrived the weekend before the tournament, he had to be cautious about which spots he was seen fishing. As the “local favorite,” he didn’t want to tip his hand regarding what or where he planned to fish. The opening day of the 49th Classic will be remembered for the stiff wind that blew against the natural current of the river. It didn’t slow DeFoe down, though. He caught two smallmouth (both 18-plus inches) from the area he fished in practice and wound up weighing in four bass on a lipless crankbait and one caught on a shallow-diving Rapala crankbait. 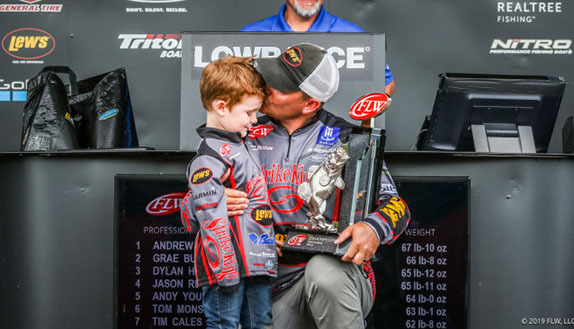 While his 20-00 total, which included a 6-pound kicker, topped the field and reinforced his pre-tournament favorite status, he knew the rest of the tournament wouldn’t be a cakewalk. He relinquished the lead on day 2 – he caught three on a vibrating jig and two on a lipless crank – and opted to channel his disappointment in an effort to get refocused for Sunday. Among the spots he fished was the one that produced the two smallmouth on Friday. On day 2, however, the fish seemed to bite differently. “I had four or five bites there and they’d stick for a second, then pull off. They just bit weird,” he said. Still, he had confidence things would come together for him, but they never did. He left the dock Sunday 2 pounds behind leader Jacob Wheeler and landed two keepers on a jerkbait to break the ice early on. Here's a up-close look at the Storm Arashi Vibe that DeFoe caught many of his weigh fish at the Classic. 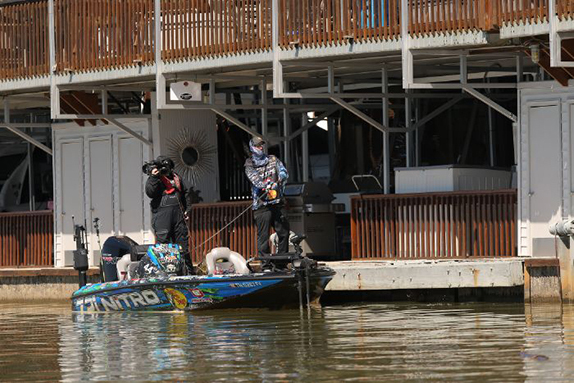 From there, it was a grind until he heeded a tip he’d received from Keith Poche prior to the day-2 weigh. Poche had mentioned to DeFoe losing several quality fish along the outside of a floating dock at the Fort Loudoun Marina near Fort Loudoun Dam. DeFoe headed that way and turned his day around with a vibrating jig. Later on, he upgraded with a 4-pounder to seal the win. 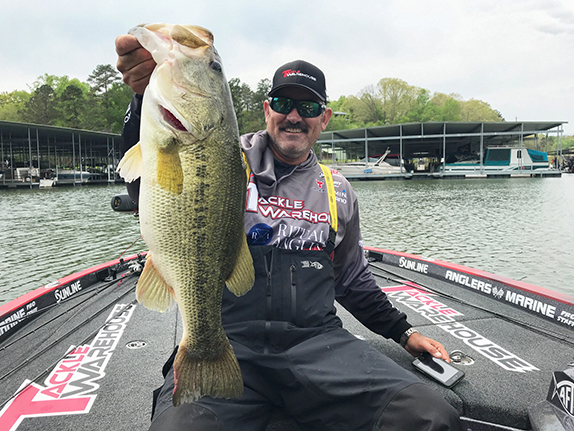 While DeFoe enjoyed a stellar day Sunday – his 18-14 bag was one of just five 18-pound bags caught in the tournament – others struggled as a result of the conditions. “It was primarily to do – at least 75 percent of being a tough day – with it being the second day after a front,” DeFoe explained. “We were almost a half day off anyway because that front system that come through, Thursday would’ve really been the day for it to be a catch-fest. It was warm and windy. Most of our fronts are pretty well on time with morning and evening, but that front was kind of halfway through the day so when we went out on Friday, clouds were already starting to break up, but we still had a south wind. It was post-frontal skies, but with the south wind. That was, to me, what made Friday good. > Lipless crankbait gear: 7’6” medium-heavy Bass Pro Shops Crankin’ Stick casting rod, Bass Pro Shops Johnny Morris Signature Series Platinum casting reel (6.8:1 ratio), 17-pound Bass Pro Shops XPS fluorocarbon line, Storm Arashi Vibe (rusty craw). 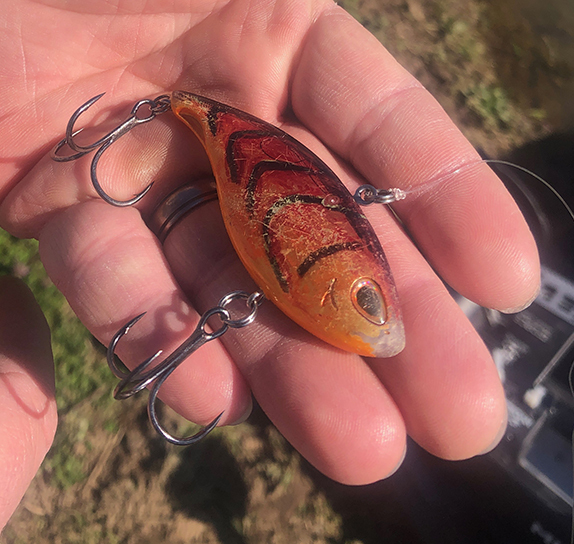 > DeFoe added additional coloring to the bait with orange, red and black permanent markers. > Vibrating jig gear: Same rod as lipless, Bass Pro Shops Carbonlite casting reel (7.5:1 ratio), same line, 3/8-oz. unnamed vibrating jig (chartreuse/white), unnamed fluke-style trailer (pearl white). > Crankbait gear: 7’ medium-heavy Bass Pro Shops Crankin’ Stick casting rod, same reel as lipless, same line (14-pound), Rapala DT-4 (dark brown craw). > On the crankbaits, he swapped the stock hooks for #2 VMC hybrid short-shank trebles (lipless) and a #4 on the DT-4.